As she dug into God’s Word with her Day Women’s Class in Brandon, Florida, her faith had a profound impact on those around her. Ena died of cancer earlier this year, but her heart for the Lord continues to draw others to Christ. Months after she was engaged to be married, Ena began to feel sick. Initially, doctors diagnosed her with pneumonia, but later tests confirmed she had developed stage four pancreatic cancer. In February 2017, doctors predicted Ena would not live through the night. That very day, Ena’s fiancé, Steven, married her in the hospital. Against all odds, Ena survived the night and the subsequent 11 months. “I asked Ena if she would be interested in attending a women’s Bible study and prayed there was a BSF class that met near us,” said Ena’s mother, Rene. “Praise God there was, and we signed up. “Right before attending the first class, Ena’s chemo failed, and her cancer returned. Then at the same time, Hurricane Irma hit us, but just days out of the hospital and with lungs still full of cancerous fluid, she was determined to attend BSF. “As I have spent the last few days going through thousands of photos, it became very clear to me that what I want everyone to see is that although Ena lived just 28 years, she crammed a lifetime into them. “Ena gave me the best gift a child can give a parent — her faith in God. I have no doubt, whatsoever, where she is spending eternity. “Ena grew up in the church. She has always known and believed who God and Jesus are. She went to Sunday school, was in youth group, was baptized, went on mission trips and volunteered her time and money as part of her Christian faith. But, over the past four months, God has become real to her in a new way. “Ena and I joined a weekly women’s Bible study in September. I wanted her to be around women her own age and not just her mom all of the time. The study was Romans this year, and she had the most wonderful leader, who is reading this to you right now. She and Ena became fast friends, and Annie has helped Ena to understand God in ways she had not thought of before. “This is what Ena wanted others to know that she has learned. It is not hard to follow Christ or accept His free gift of salvation. There is not a list of rules to follow, and all of your good deeds and good intentions will not get you there. You cannot work your way to heaven. No matter how good you try to be, on your own you will never be good enough. We achieve the eternity Ena is experiencing at this very moment through the grace of God by accepting His Son, whom He loved. “Everyone knows John 3:16: “For God so loved the world that He gave His one and only Son, that whoever believes in Him shall not perish but have eternal life.” Most people do not read the next verse, which is equally as important. John 3:17 says, “For God did not send his Son into the world to condemn the world, but to save the world through Him.” We learn in Romans 8, there is therefore, now no condemnation for those who are in Christ Jesus. “Romans also teaches us that NO ONE is perfect. We will never achieve perfection in this life. Ena is perfect now because her faith has brought her into eternity. She has a new body free from earthly limitations, pain and disease. “Ena’s verse for herself was Romans 12:12, “Be joyful in hope, patient in affliction, faithful in prayer.” Ena was certainly afflicted, but she had hope and she had the joy that can only come from knowing God. “Because of the great hope Ena and Steven both had, they were able to live most days of the last year of her life like she did not have cancer. They enjoyed each moment as a gift. 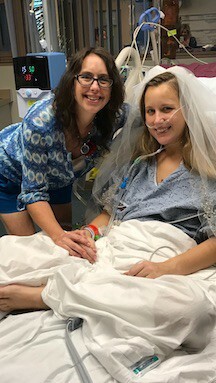 “When you have a loved one with cancer, especially your child, you pray for huge miracles: ‘Please just save her life.’ As time progresses and chemo becomes the routine, you pray for the little things: ‘Please let her sleep all night,’ ‘Please let her stop throwing up,’ ‘Please let her breathing be easy.’ As I look back over the last year of my daughter’s life, I see we were experiencing a miracle all along. Her last year could have been spent in daily pain, sickness and depression, but it wasn’t. SHE LIVED! “Multiple trips to Disney, her beautiful wedding on her original chosen date in April, a honeymoon to Alaska, trips to our beach on Anna Maria Island, swimming with the sea lions in the Keys, even a Thanksgiving trip to California, where Steven’s entire family got to be together. Ena at her wedding in April. “She even started working a few hours every other week, where the staff made sure rocking a newborn was on the agenda for her each time. 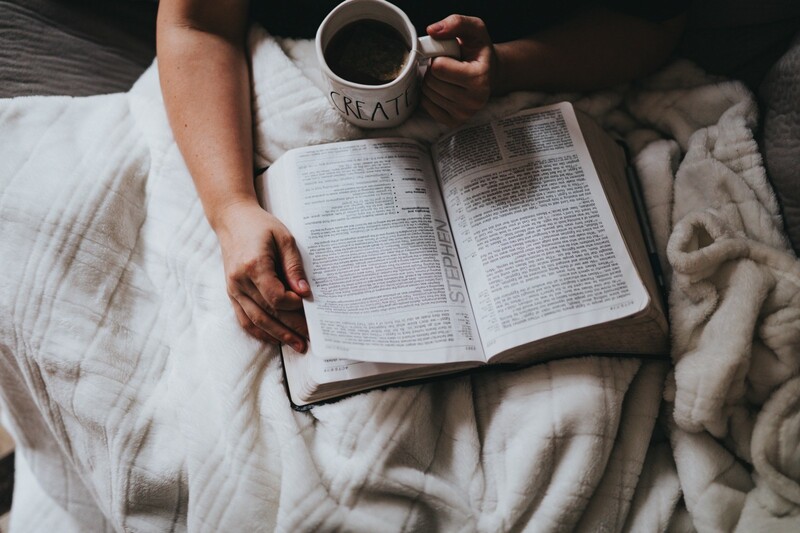 By being able to go to a weekly Bible study, the one thing she got to do that did not have anything to do with cancer, she met new women and grew in her faith. She loved seeing God and Christ in a brand-new way. “Ena almost left this earth a year ago, I am so glad God gave her to us for another year and that it was spent so well. Not a moment was wasted, no regrets. What wonderful memories we all have from this past year. “I’ve talked to God a lot this past year … begged Him, cried out to Him. I asked Him several times that if Ena loses her earthly life, to please let me have a glimpse of what she is seeing. Everyone wants this, of course, but few receive it. “As Ena was taking her last breaths, she smiled with each one, and then those beautiful, blue eyes, which had been closed for hours, opened up clearly. She looked at all of us surrounding her, and then she was gone. What we saw in her eyes was her entering the unimaginable beauty of Heaven. “Thank You for Ena’s LIFE.